I recently reviewed Springfield Armory’s XD semi-automatic firearm, and as part of my piece, I claimed that Springfield’s new variants were supposed to be big upgrades. As a result, I thought it wise to get my hands on the updated XD style pistols and to put my money where my mouth is. Therefore, in today’s Gunivore exclusive, we’re going to be breaking down Springfield’s XDM handgun. The release of the XDM began a new era for Springfield where they were finally taken seriously within the handgun community. Two years after its debut, the full-size XDM was awarded the prestigious Golden Bullseye Award from American Rifleman for Handgun of the Year (2009). This award recognizes people, firearms, and assorted weapons products for their outstanding designs, innovative qualities, and exceptional performance. Although this was not their first time winning the award, it was certainly a huge boost for them as a whole. In fact, they were just presented with the same distinction this year for their tactical sporting rifle, the SAINT. Considering that this is the first of several sequels to my review of the XD, I would like to focus only on the differences between these two handguns. In keeping true to their original XD template, Springfield Armory kept the basic design while also making several critically acclaimed performance enhancing upgrades. One of the major differences between these two semi-autos is the multiple interchangeable backstraps on the XDM. Additionally, the classic American gun maker also added improved slide serrations which significantly boost control and handling. However, because of the XDM’s larger build, they had to tweak its design and add size-reducing contours to keep it as concealable as possible. 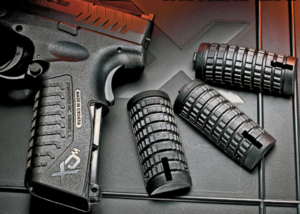 The original XD was so popular due to their class-leading ergonomics, and with their release of the XDM, that reputation intensified. The other clear difference between the XD and the updated XDM is the inclusion of a match grade barrel and trigger on the latter. The problem with that is: the term “match grade” has become an ambiguous buzzword with very little meaning. For example, imagine a corporation marketing themselves as dynamically negotiating interdependent opportunities or enthusiastically communicating multi-functional initiatives – it’s all just a bunch of nonsense hogwash. I’m not saying that Springfield didn’t upgrade the XDM’s barrel; all I’m saying is that to call it “match grade” makes me skeptical. However, they did alter the threaded barrels to have tighter tolerances for superior accuracy. Furthermore, not only did they add more slide serrations but they also made them deeper and longer to make the XDM more user-friendly. Similarly, Springfield enabled the XDM to be disassembled without pulling the trigger, making it easier and safer to own. 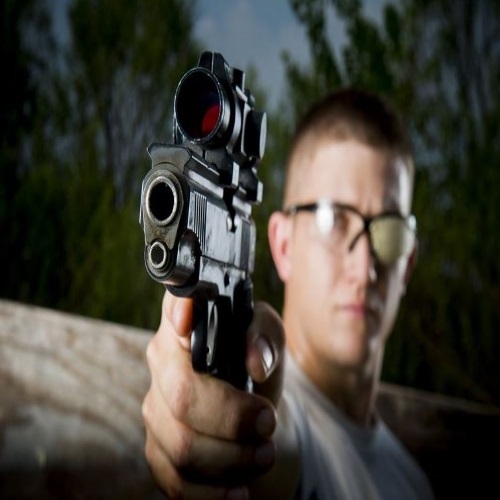 In terms of the XDM’s performance, it’s only slightly better than its predecessor. While most of the internal components are the same, this minute difference stems from the enhanced ergonomics, better sight system, and all-terrain grip pattern. As much as I love the ergonomic enhancements on the XDM, the upgraded sight system cannot be overlooked. Instead of the standard dovetail front and 3-Dot rear setup, the new and improved XDM features a fiber optic front sight and an extended low profile combat rear sight. Ultimately, this new system enables faster and easier target acquisition and increased accuracy. 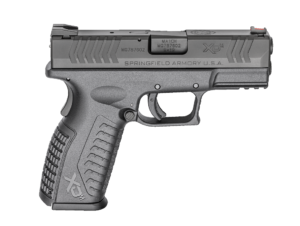 As part of Springfield’s goal of creating a handgun with full-size performance but in a compact design, they gave the XDM a 19-round stainless steel mag (some of the variant XDMs have smaller capacities). Like with the XD, I recommend attaching Crimson Trace’s LG-448 Laserguard onto your XDM; this laser sight may be expensive, but it’s worth every penny. And if you’re in the market for a tactical light, consider Amazon’s great deal on the LaserTac rechargeable subcompact pistol flashlight. If you’re planning on carrying this CCW, you gotta invest in a good holster. I’ve seen too many guys walking around with nice guns in ugly and old holsters. I’m a huge fan of AlienGear Holsters and their new, sleek, and durable options; their Cloak Tuck 3.0 IWB and Cloak Mod OWB holsters are great choices. On the other hand, if you’re looking for something more classic and upscale, consider Desantis. They have a really subtle and classy SOB (small of back) holster for the XDM; I’d also check out their L-Gat Slide belt holster which offers great cross drawing ability. 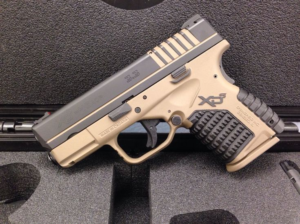 Like the XDM, the XDS is an updated version of Springfield’s XD Series but features a single stack super slim build. 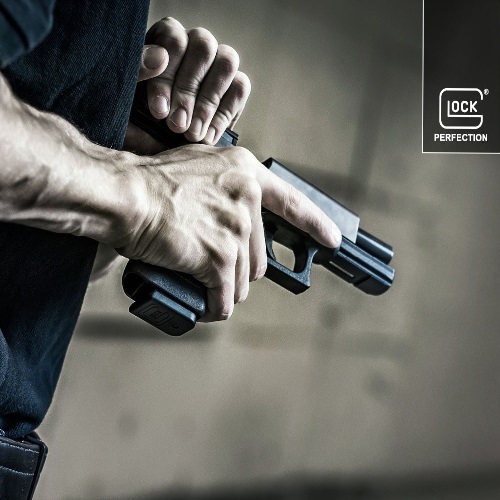 In their attempt at making an XD-based handgun even easier to carry, they shortened the barrel, trimmed off a few ounces, and gave it a short sub-compact style. The result is a new and improved CCW with all your favorite features from the XDM line with enhanced carrying comfort. Similarly, Springfield incorporated a fantastic smooth trigger into the XDS, something which many comparable sub-compact CCWs lack. The tagline for the new XDS is “Noticeably Unnoticeable” and they hit it right on the nose. I really enjoyed handling the XDM – it’s the kind of versatile gun that you can definitely rely on and be proud of. 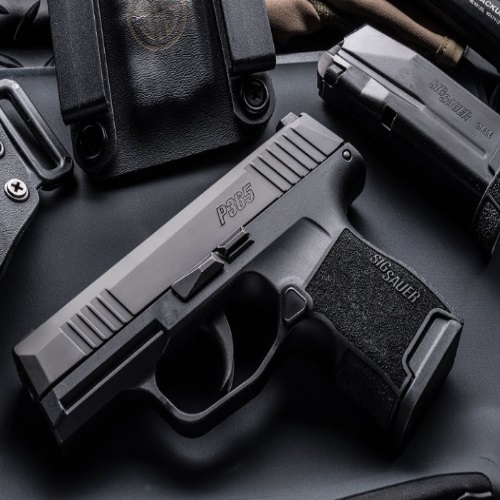 In addition to its improved looks and handling, Springfield illustrated their commitment to creating the ultimate CCW, especially once they unveiled the XDS. If I had to pick my favorite component of the XDM, I’d probably go with the interchangeable back straps. Gunivore has great reviews on gun sights like the Trijicon ACOG Scope Optic, EOTech 552 and the Aimpoint Comp M4!